The AZ-300 Microsoft Azure Architect Technologies certification tests and validates your expertise as an Azure Architect around Azure administration, Azure development, and DevOps; among a list of specific expertise categories within each of these. This certification track prepares you for Exam AZ-300: Microsoft Azure Architect Technologies. How to manage their Azure resources, including deployment and configuration of virtual machines, virtual networks, storage accounts, and Azure AD that includes implementing and managing hybrid identities. Learn how cloud resources are managed in Azure through user and group accounts, and how to grant access to Azure AD users, groups, and services using Role-based access control (RBAC). Learn about the different storage accounts and services as well as basic data replication concepts and available replication schemes. Introduced to Storage Explorer as a convenient way to work with Azure storage data. Learn the types of storage and how to work with managed and custom disks. Learn how to create and deploy virtual machines in Azure, using the Azure portal, PowerShell, and ARM templates. 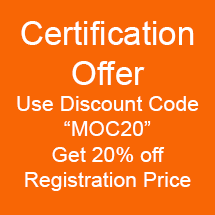 The course includes instruction on deploying custom images and Linux virtual machines. You will see how to configure the networking and storage components of virtual machines. Deploying highly available virtual machines is critical for planned and unplanned events, and you will learn how to use availability sets to ensure that virtual machine resources are available during downtime. Learn the monitoring tools and capabilities provided by Azure, including Azure Alerts and Activity Log. In addition to alerts and logs, you will be introduced to Log Analytics as an effective data analytics solution for understanding your system status and health. And perhaps the most exciting thing you will learn is how to use the Azure Resource Manager deployment model to work with resources, resource groups, and ARM templates. Discover, assess, plan and implement a migration of on-premises resources and infrastructure to Azure. Learn how to use Azure Migrate to perform the discovery and assessment phase that is critical to a successful migration. Students will also learn how to use Azure Site Recovery for performing the actual migration of workloads to Azure. The course focuses primarily on using ASR on a Hyper-V infrastructure to prepare and complete the migration process. Learn how to deploy serverless computing features like Azure Functions, Event Grid, and Service Bus. You will learn how Azure Multi-Factor Authentication helps safeguard access to data and applications, helping to meet customer demand for a simple sign-in process. Also, how to use Azure Active Directory Privileged Identity Management to manage, control, and monitor access to Azure resources within your organization. Manage and maintain the infrastructure for the core web apps and services that developers build and deploy. Learn how Azure App Service is used as a Platform as a Service (PaaS) offering for deploying cloud apps for web and mobile environments. Get a glimpse of how to implement advanced networking features like Application Gateway and how to configure load balancing. Learn to integrate on-premises networks with Azure virtual networks and to use Network Watcher to monitor and troubleshoot issues. Operations are done in parallel and asynchronously. And, how your whole enterprise system must be resilient when failures occur, and just as importantly, how deployments can be automated and predictable. By using the Azure Application Architecture Guide and Azure reference architectures as a basis, you will understand how monitoring and telemetry are critical for gaining insight into the system. You will dive into the cloud design patterns that are important, such as partitioning workloads where a modular application is divided into functional units that can be integrated into a larger application. In such cases, each module handles a portion of the application's overall functionality and represents a set of related concerns. Load balancing where the application traffic, or load, is distributed among various endpoints by using algorithms. Load balancers allow multiple instances of your website to be created so they can behave in a predictable manner. In Azure, it is possible to use virtual load balancers, which are hosted in virtual machines, if a company requires a very specific load balancer configuration. Transient fault handling which helps define the primary differences between developing applications on-premises and in the to handle transient errors. Transient errors are errors that occur due to temporary interruptions in the service or to excess latency. Discussion of hybrid networking that provides an overview of site-to-site connectivity, point-to-site connectivity, and the combination of the two. To build Logic App solutions that integrate apps, data, systems, and services across enterprises or organizations by automating tasks and business processes as workflows. Logic Apps is cloud service in Azure that simplifies how you design and create scalable solutions for app integration, data integration, system integration, enterprise application integration (EAI), and business-to-business (B2B) communication, whether in the cloud, on premises, or both. How Azure Service Fabric is a distributed systems platform that makes it easy to package, deploy, and manage scalable and reliable microservices and containers. Service Fabric also addresses the significant challenges in developing and managing cloud native applications. Developers and administrators can avoid complex infrastructure problems and focus on implementing mission-critical, demanding workloads that are scalable, reliable, and manageable. Service Fabric represents the next-generation platform for building and managing these enterprise-class, tier-1, cloud-scale applications running in containers. See how Azure Kubernetes Service (AKS) makes it simple to deploy a managed Kubernetes cluster in Azure. AKS reduces the complexity and operational overhead of managing Kubernetes by offloading much of that responsibility to Azure. As a hosted Kubernetes service, Azure handles critical tasks like health monitoring and maintenance for you. Learn how to Implement authentication in applications (certificates, Azure AD, Azure AD Connect, token-based), implement secure data (SSL and TLS), and manage cryptographic keys in Azure Key Vault. 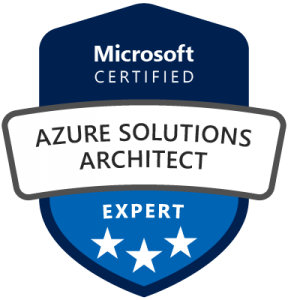 This is one of two exam preparation course tracks required to earn the Microsoft Certified: Azure Solutions Architect Expert Certification. You must also complete the AZ-301 Microsoft Azure Architect Design Certification Track and pass Exam AZ-301: Microsoft Azure Architect Design in order to become a Microsoft Certified Azure Solutions Architect Expert. This exam is intended only for candidates who have taken Exam 70-535: Implementing Microsoft Azure Infrastructure Solutions. If you have not taken Exam 535, you will not earn a certification by taking this exam. Want to Bring this Course Onsite? Find out how Wintellect can bring this course to you!